What a cute selfie ! You must have a lot of work by distributing all those eggs ! Happy Easter to you and your family, Speedy! Happy Easter, Speedy and Rachel. Happy Easter, Speedy! You look great in that knitted sweater!! That's a GORGEOUS selfie, Speedy. HAPPY EASTER! We love your selfie Speedy! Happy Easter! Is everyone after you to give them something today? That is a great Selfie Speedy! 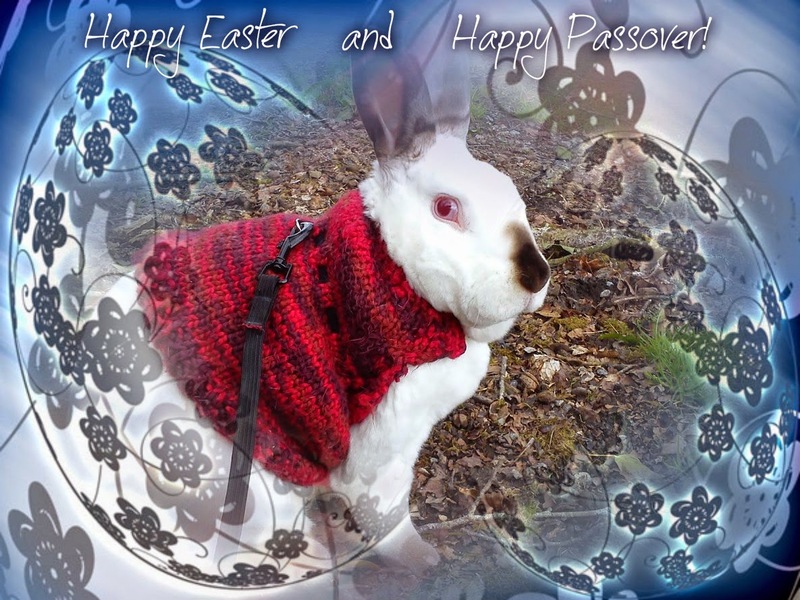 Hoppy Easter and Hoppy Passover SPEEDY!! Hoppy Easter to you! It's your special day :) PS: thanks for visiting. We luff seeing new furry furriends. Oh Speedy I thought you were the Easter Bunny. Are you related to him? 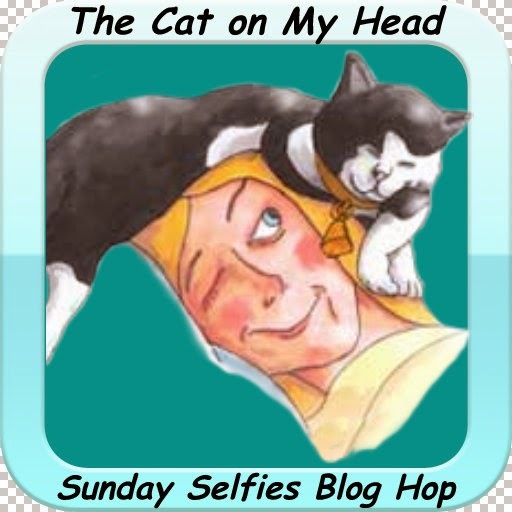 Oh Speedy, you are so very cute, what an awesome selfie! The Whiskeratti is right, it is your special day today, hope you have lots of fun...Happy Easter! And thanks for hoppin' by! Happy Easter, bunny! MOL! You look adorable, Speedy. Speedy! Yous absolutely the cutest! Hope this was a special day for you, Speedy. Happy Easter to our favorite bunny! Happy Easter Speedy! You are a wonderful Easter bunny! Hope'z you had a super Easter Speedy and had load'z of yummy wabbit treat'z. Nice selfie Speedy. You really look good with your sweater. Hope you had a happy Easter, Speedy! Love that pic! And we hope you had a fab Easter!